The major benefit of this feature is that it can be used to restore a complete system in case of a software bug or hardware failure. The drawback is that you can not use it to restore individual files. 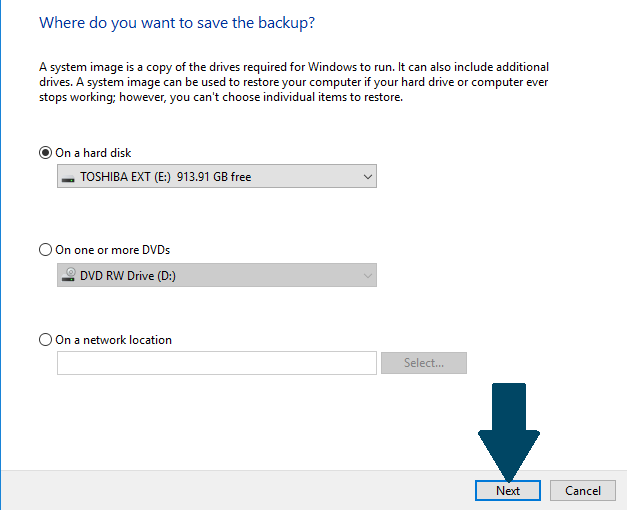 This guide can be used to take a full backup image of both Windows 10 and Windows 8.1. Step 1: Type 'Control Panel' in the search bar and then press <enter>. 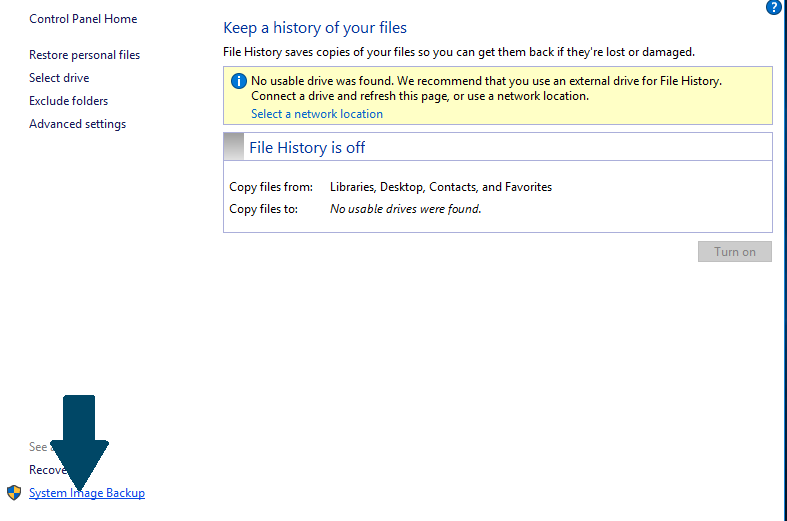 Step 2: In System and Security, click "Save backup copies of your files with File History". Step 3: Click on "System Image Backup" in the bottom left corner of the window. Step 4: Click on the button "Create a system image". Step 5: Choose your hard drive and click Next. Step 6: Click "Start backup" to start the backup process. The backup wizard could take from 10 minutes to several hours, depending on the amount of data that needs to be backed up and the speed of the harddisk. 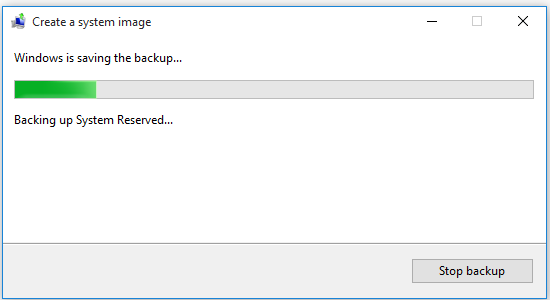 windows 10 made a backup using image to my external hard drive. I cannot figure out how to access my photos etc because there is only a string of numbers and dates when i click on the hard drive,c,users, my name, etc. i have a lot of photos on my segate that they said i need to get in touch with microsoft to figure out how to understand how it is backed up. I can do all these steps but the message I get is that there is not enough room on the external hard drive. Well, I want it to OVERWRITE the old info with the new! This is a new problem — I have not had this issue before and I have made many backups onto this same external drive. I cannot seem to find a way to tell the laptop to do this. Any suggestions welcome. Thank you. This method also seems to duplicate my e drive aswell.I only the operating system back up,my e drive contains mostly my games,music,photo’s,videos etc.Is it possible I can just back up the c drive?. All I’ll say is Macrium Reflect. Makes a bootable clone of my C drive once a day. In addition, it does this whilst I’m working on the PC. If I have a hdd failure I not only have a bootable drive instantly, I also have everything save the last 24 hours (at worst) work. If there’s a better way to have peace of mind, I haven’t found it.